In England, dueling was part of a long-standing code of honor, far beyond mere tradition. Gentlemen took their dueling very seriously; they would rather die than be dishonored. Does your heart go pitter patter just at the sound of that? I admit, at time, mine does. How many men that honorable do you know? Okay, maybe we’d call it misplaced pride, or an overdeveloped sense of vengeance, but hey, that was a different world with a different set of rules. And yeah, I’m glad they don’t do it these days. By the Regency era, dueling was outlawed. However, duels still happened more frequently than many people knew. The problem was, because courts were made up of peers, they were reluctant to charge another peer with murder as a result of a duel. There is a case where one nobleman was charged with murder and tried, but used the defense that his behavior was gentlemanly and honorable, meaning that he acted within the proper code of conduct. He was acquitted by his peers. If they were socially equal, or at least similar, the gentleman who was offended would tell the man who’d wronged him that he should choose his “second,” a close friend or family member who would look out for his best interests. If he was really incensed, he might slap him with his glove, but that was considered extreme and beneath gentlemanly behavior, as it was the ultimate insult and probably resulted in a fight then and there. The procedure for issuing a challenge was very specific. A gentleman never challenged a social inferior. For instance, a gentleman of significance with ties to the aristocracy or nobility would never challenge a commoner, such as a blacksmith or a farmer. Also, if there was a significant age difference, the duel would not be extended. When the allotted day arrived, they met, probably in a remote place where they wouldn’t be caught by the law, and the seconds inspected the weapons to be used. A final opportunity for an apology could be given. If not, the seconds decided if the duel should be fought to (a) first blood, or (b) until one can no longer stand, or (c) to the death. Once that was decided, the opponents dueled and the seconds watched to insure that nothing dishonorable happened. If during a duel fought by swords, one of the duelers becomes too injured to continue, occasionally the second would step in and duel. Sometimes, the seconds were hot-headed or very angry (loyal?) and ended up dueling each other as well. To my knowledge, this never happened if the duel were fought with pistols. As horrible as it sounds to our modern selves, these gentlemen took their honor very seriously, and considered death preferable to living with the label of a coward, a label that would follow them and their families for years. And, maybe it’s me, but there a certain romance about a gentleman brave enough and protective enough to be willing to risk death defending my honor from another man who’d besmirched it? A duel is what leads to all the trouble for my hero in my Regency Romance novel, “Courting the Countess” and causes events he wishes desperately he could change, especially when the duel goes awry and causes pain to an entire family. Richard fears Elizabeth is as untrustworthy as his mother, who ran off with another man. However, to protect his brother from a duel and their family name from further scandal, he agrees to the wedding, certain his new bride will betray him. 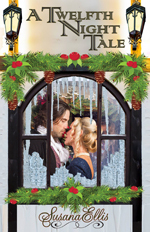 Yet when Elizabeth turns his house upside down and worms her way into his reluctant heart, Richard suspects he can’t live without his new countess. Will she stay with him or is it too little, too late? Pre-order now on Amazon for Kindle. 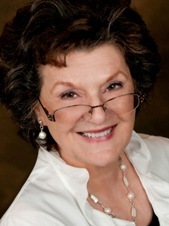 Donna Hatch, author of the best-selling “Rogue Hearts Series,” is a hopeless romantic and adventurer at heart, the force behind driving her to write and publish seventeen titles, to date. She is a multi-award winner, a sought-after workshop presenter, and juggles multiple volunteer positions as well as her six children. Also music lover, she sings and plays the harp. Though a native of Arizona, she and her family recently transplanted to the Pacific Northwest where she and her husband of over twenty years are living proof that there really is a happily ever after. The heroine of my book A Lady’s Addiction has a problem with alcohol. Anna used it to self-medicate, to deal with the disgusting attentions from her husband. 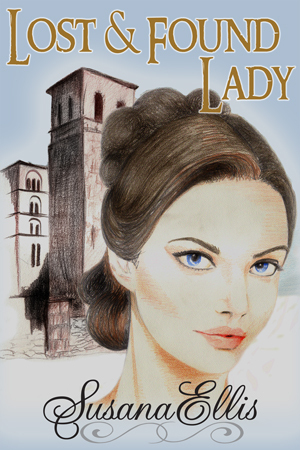 Now a widow, Anna struggles to rid herself of her nightly ritual of drinking a bottle of wine to dull her senses. The term alcoholism wasn’t around in the Regency era and wasn’t coined until 1852. Reformers labeled those who often drank in excess as habitual drunkards. At the time habitual drunkenness wasn’t seen as a disease. I portrayed Anna as an alcohol abuser not an alcoholic. She uses alcohol to de-stress. If she continues on this path she would most likely become an alcoholic. Anna’s drink of choice was wine. Wine was plentiful in upper class Regency households. Wine was a gentlemanly drink. It was imported and expensive, perfect as a posh drink for the upper classes. During the years of war between France and England it was harder to get French wine. The English turned to new favorite wines from Spain, and Portugal. These wines were Madeira, Malaga, port, or sherry. The hero in my book refers to Portuguese wine in the first chapter. It is well known that George IV drank heavily. Did George’s excessive drinking reflect current fashion or set it? I think both. Drinking played an extremely important social role in eighteenth century England. Anyone who reads Regency historical novels has heard of gout. The high consumption of port and fortified wines led to the upper class disease of gout. What about women drinking in the Regency era? 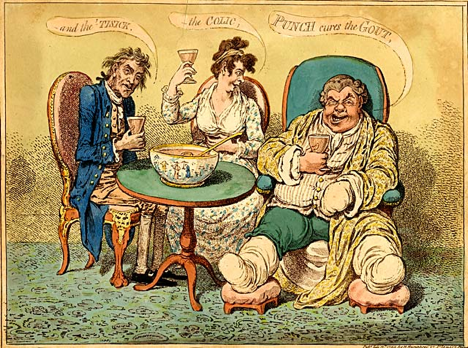 While there are many cartoons and articles from the Regency showing excess drinking by men, it was much harder to find information about those Regency women who may have abused alcohol. Lady Caroline Lamb was known to be addicted to alcohol and laudanum near the end of her life. It is taken for granted that women of society drank to relieve the boredom and monotony of their lives. Women drank wine with their meals and drank sherry in the drawing room after dinner. It is not hard to imagine women overindulging with all the alcohol surrounding them. What do you think of a romance heroine dealing with alcohol abuse? Would you prefer the hero to be the one dealing with such a struggle? 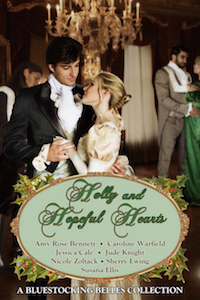 One reader who leaves a comment on this blog post will receive a $10 Amazon gift card. Anna, a widow battling alcohol addiction is convinced she is worthless unless she bears a child. She hires a lover to prove she is not frigid and may marry again and have children. Devlyn, sterile from an accident, has returned from an assignment for the Foreign Office and inadvertently becomes Anna’s lover. Anna and Devlyn join forces to protect an innocent child from a blackmailer. Can they come to terms not only with their feelings for each other but whether they will allow society to dictate the true significance of life? She couldn’t remember the question she’d asked. His nearness unsettled her. Her entire body had flared into wakefulness the moment he entered her room. Cecily could be right; this man might be able to help with her problem. Tonight she would play a part. 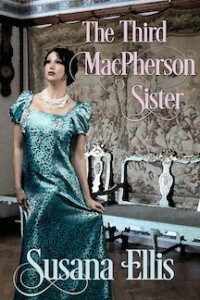 She would emulate the sophisticated façade her friend Cecily Pickerel displayed. The scandalous nightgown underneath her thin robe was in fact a gift from Cecily. She would never have had enough courage to buy such a shocking garment for herself. “What is your name?” Franco asked, ignoring her question. I joined the US Air Force to see the world. My dreams of visiting the United Kingdom were fulfilled when I was stationed at RAF Lakenheath in the beautiful countryside of Suffolk, England. Five years later I returned to the states having acquired a wonderful husband and a love of all things British. I began writing as a hobby when my husband was remote to Honduras for a year. I found RWA and a local New Mexico chapter, LERA, and my hobby developed into a dream of sharing my stories with others. I currently live in the great state of Alaska with my wonderful husband and our two teenage boys. 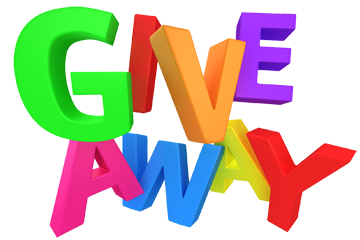 Louise will be awarding a $15 Amazon or Barnes and Noble GC to a randomly drawn winner via Rafflecopter during the tour. Click here for the Rafflecopter. Click the banner above to follow the tour and increase your chances of winning. Louise: Write. Then write some more. Do not stop after the first rejection – remember, they are rejecting your story, not you as a writer. Enter competitions for feedback. Choose a competition with an editor of a publisher you’re interested in submitting work to. Don’t bombard yourself with reading ‘how to write’ books. I have one or two – and to be honest, I have only read one of them. But just keep writing. This is the only way you’re going to improve on your craft. Louise: For me, characters. Rather, they come to me in a snippet of a scene. I’ll play that scene over and over in my head and then I’ll write it. Now, that scene is just a random scene. Usually I know nothing else other than that scene. Then I start to think about the characters in the scene. Who are they? Where did they come from? What are they doing there? It builds from there. Louise: Oh, I’m a panster. I mentioned earlier that I’ll have a random scene pop into my head and then build the characters from there that is how I build the plot. I’ll ask myself, what happened in the scene prior to this one to get them to this point? I do a lot of my writing working backward. Louise: My newest release, Of Love and Vengeance, is about a few things really. Firstly, it’s about prejudices, mainly about how we can tar an entire group by either misconceptions or by the behavior of a few. Both the hero and heroine are guilty of doing this, so we get to see how they deal with this. It’s also about acceptance, not just of each other, but of yourself as well. Laila, the heroine has a birthmark that covers one side of her face, and she really struggles with loving herself because of it. So we also see how she learns to love herself. Louise: I always wanted to be an audio engineer. You know, one of those people who sets up all the audio equipment at concerts and in recording studies. When I was seventeen I took a course in audio engineering, because from as long as I could remember that was what I wanted to do. I got my qualifications and then realized that perhaps it wasn’t what I wanted to be after all! Louise: I love doing obstacle races like Spartan, and Tough Mudder. To look at me you wouldn’t think so. I refer to myself as a Rueben’s woman (curvy and plump!) and I do not look as if I am into exercise. I always like to put on make-up and straighten my hair (I love my InStyler), I’m a bit of a girly girl. So, the last place you’d expect to find me is shoulder deep in stinky, sticky mud, crawling under barbed wire, hoisting myself up a rope, and climbing over 12 foot walls. My sister doesn’t believe it and she’s seen the photos! Louise: I’m afraid to look to be honest! But, the last time I did work up the courage to look I found an old pair of ASICS trainers I no longer wear, and empty shoe box, which I should have put the old trainers in, and a recipe book for my nutribullet. Louise: I have two. 1/ Everything has its beauty, but not everyone sees it. 2/ Bang on enough doors and one is bound to open. Louise: My “call” came in the form of an email. I remember it clearly. It was May 17, 7.59am (I remember the time exactly because I was on my way into the office and I checked the time on my phone) and before heading into the building where I work I quickly checked my emails. There was an email from The Wild Rose Press, and I thought it was going to be a rejection. 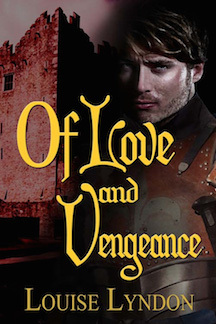 I stopped reading after the first sentence… I have finished reviewing the manuscript, Of Love and Vengeance. I’d like to offer you a contract. I must had re-read that sentence at least ten times. Then I called my sister, who thought someone must have died because why else would I be ringing her so early! Louise: Anything electrical! But mainly my microwave, Instyler, and laptop. Not necessarily in that order. Aymon caught a flicker of movement from a window on the second story. “I think we’re about to meet the welcome party.” An arrow zoomed toward him and landed on the pommel of his saddle. A half an inch closer and he would no longer be able to sire children. As if in demonstration of his ability with the bow and arrow, the shooter fired again. This time directed toward Hugh. The second arrow too came within a half an inch of his friend’s manhood. “You missed!” Aymon called toward the shooter. He questioned his stupidity for mocking someone with such a good aim. “You want me to show you how good an aim I really am?” a woman’s voice echoed out across the yard. 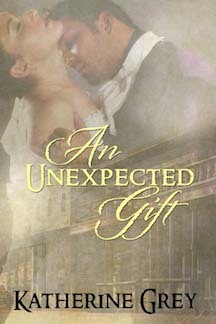 Aymon was shocked and admittedly a little impressed a woman had such remarkable shooting skills. He could use such a sharp shooter on his side in battle. After all, it was better to have someone so skilled firing for you than at you. “Some would say a female is of value,” Aymon drawled sardonically. A second arrow lodged firmly on the pommel between his legs. Aymon shook his head. He dismounted but never took his eyes from the door to the manor. She has been writing the moment she picked up a copy of Diana Gabaldon’s first Outlander novel twenty something years ago. 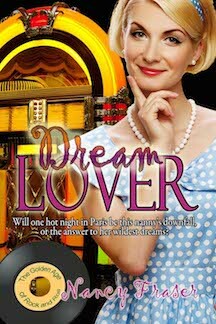 She thought to herself, ‘this is what I want to do’ – not travel back in time, but become a novelist! She has always had snippets of dialogue and scenes floating around in her head with characters screaming at her to bring them to life. In 2013, Louise won first prize in the Crested Butte Sandy Writing contest – Historical category for her story, The Promise, which is now called, Of Love and Vengeance. When not writing, she can be found covered in mud, crawling under barbed wire and hoisting herself over twelve foot walls – under the guise of competing in Spartan races all over Australia. Katherine: It wasn’t so much something that inspired me to start writing as a person. I have always had an active imagination and would make up stories. I would often share with friends some of the stories or talk about the characters that peopled those stories. After much encouragement from one of those friends, I decided to try to write a book. That first book took me 9 months to write and currently resides on a shelf in my closet. Like most first books, it’s no where near publishable but I learned a lot while writing it. Katherine: This is a hard question to answer. I would have to say Johanna Lindsey, Suzanne Enoch, and Lisa Kleypas. Johanna Lindsey was one of the first historical writers I ever read so I have to give her the most credit. I love how each of these wonderful writers immerse their readers in the worlds within their books, how each of them write such strong female characters yet keep them grounded within the time period, and the way they convey the depth of emotion and conflict in their books. Katherine: One of the pieces of advice I first received is to write every day or at least five days out of the week even if you can only manage one page a day. I learned from experience that by writing every day, you keep the story in the forefront of your mind so that your subconscious is working out plot points even when you’re doing something else. If you write only when the mood strikes, odds are it will take you years to finish a manuscript if you finish it at all. Katherine: I’m lucky enough to get out of work at 3:00 p.m. so I write from 3:45 to 5:15 Monday through Friday. I sit on one side of the dining room table typing away and the boy child sits on the opposite side doing homework so there are the occasional homework question interruptions. I try to write between 20 and 25 pages of new material each week. Katherine: I just finished Her Sudden Groom by Rose Gordon. Rose Gordon is a new author to me. Someone recommended that I read the book. I’m always on the lookout for new authors to read. 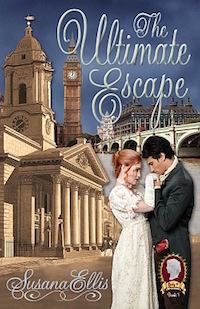 “If you don’t leave, I shall have Jennings call the constable.” Olivia headed for the door. Lazarus closed the space between them in two strides. He pushed her backward onto the bed. Olivia bounced against the soft mattress. 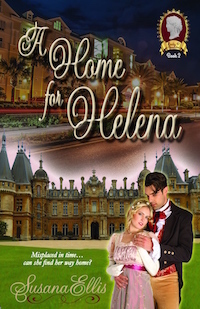 She dug her elbows into the thick counterpane in an effort to scramble backward away from him. Grabbing her ankles, he pulled her toward him in one quick jerk. He leaned over her. His hand closed over her hip, freezing her in place. The warmth of his hand burned through her clothes to her skin. Feeling truly terrified for the first time since he’d announced his presence, she searched his gaze for some kind of sign this was all a great joke. No, it was no game. His eyes were as hard and cold as glass. “What do you want?” she repeated, her voice a near whisper. At the age of four, Katherine pestered her mother to teach her to read. From that point on, she spent the most of her childhood lost in the pages of one book after another. Soon she began writing stories of her own, populated with characters doing all of the things she was too shy to even contemplate doing herself. 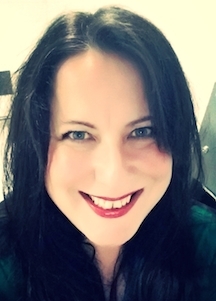 A chance meeting with another author led Katherine to seriously pursue a writing career. Her debut novel, Impetuous, was released by The Wild Rose Press in August 2011. Katherine lives in upstate NY with her family though she threatens to move south at the beginning of each winter season. 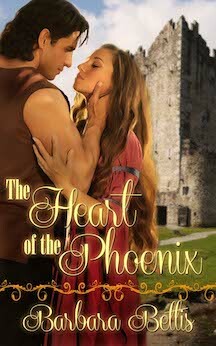 One lucky commenter will win an e-copy of The Heart of the Phoenix . All comments also qualify as entries for Susana’s September Giveaway, a necklace from London’s National Gallery (see photo at right). When his drive for vengeance leads to Evie’s kidnapping, Stephen must choose between retribution and the loved he’s denied too long. Surely King John will see reason. Convict the murderers; convince the king. Simple. Until a startling revelation threatens everything. Most of us are used to reading of Dover as the port closest to the continent and the one used most frequently. However, in the Middle Ages, it wasn’t always the port of choice. When King John left Normandy for England where he was to be crowned on Ascension Thursday, 1199, he landed at Shoreham on the country’s southern coast. Evidently, Shoreham was a popular port during those years. 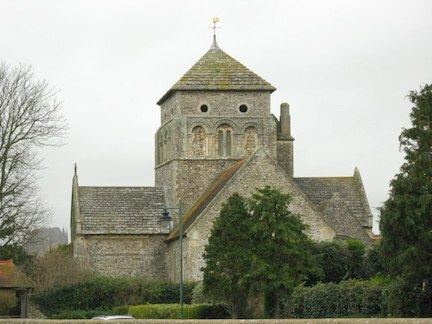 According to one source, one of the first things John did when he landed in Shoreham two days before his coronation was visit the church of St. Nicholas. Here’s a modern photo of St. Nicholas’ Church, although one can see some of the medieval touches at the top.